Troy (Truva) is a place of ancient historic importance. This is believed to be the place where the Battle of Troy was fought during the age of the Greek Gods and Achilles was killed here. From here, a whole new civilization is believed to have originated about 5000 years ago. The best preserved Roman architecture is found here. 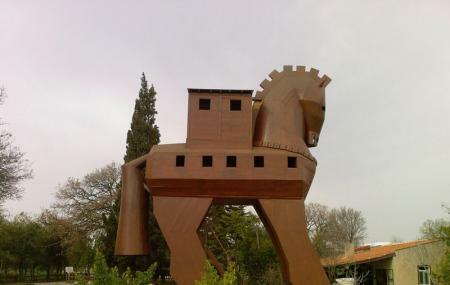 The main attraction here is the wooden Trojan horse that plays a vital part in the history of Troy. One thing is that you will definitely require a good history journal or a good guide to interpret all the details regarding this fantastic place. People normally club together Naval Museum and Kilithbahir Castle while planning their visit to Troy.